An organization that lets itself be overwhelmed by the small but insistent demands of too much soft tissue gets happy, then it gets fat, then it dies. Organisations are build in layers which should be balanced to succeed. Seth Godin talks soft tissue on his blog. Interesting article on joel.is explaining the negative impact of smartphone notifications on productivity. Your fancy smartphone might be the main reason you are constantly out of focus. We go there to buy furniture, to buy flowers, to eat Kötbullar. Lots of freelancers and entrepreneurs go to IKEA for something completely different. Instead of buying office furniture at IKEA and do the “love it or hate it” nuts and bolts assembly, just go do your work in IKEA. Everything is already there, why bring it home? Coworkers often start their own office when succesful. 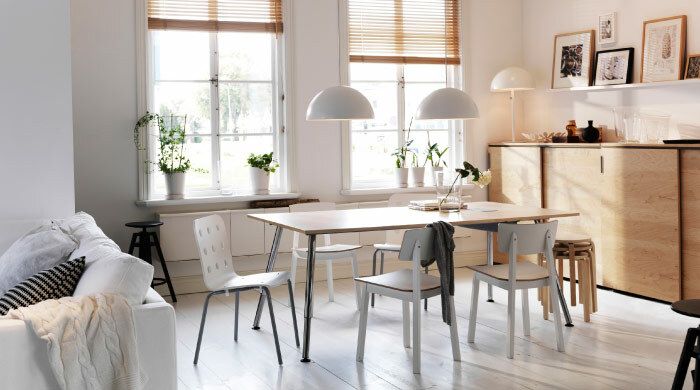 Already familiar with IKEA office furniture, buying IKEA becomes a more obvious choice. Daily coworking usage can be monitored by IKEA, using the office as a “live lab” with real life situations. Data can then be used for further development of IKEA’s office range. The 365 calendar days can be individually detached and brewed directly in the cup with hot water. 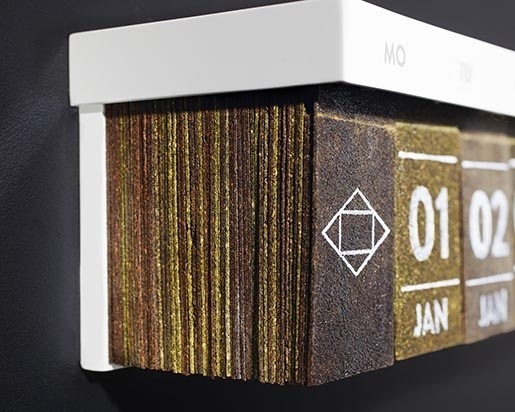 Love this 365 tear-off (tea-off) calender, serves you a tea each morning. Abandoning the entire idea of the RSS-inbox model because of inbox overload is like boycotting an all-you-can-eat buffet forever because you once ate too much there. Mario Ament wrote a great blog post about a problem we all know. You start with one (remember the days?) blog post in your shiny new RSS-reader and before you know *BOEM* … 215 feeds which all post around 10 feeds a day. Making 2150 articles to scroll trough each day. You successfully installed a productivity killer. Without RSS readers, the long tail would be cut off. The rich would get richer: only the big-name sites get regular readership without RSS, so the smaller sites would only get scraps of occasional Twitter links from the few people who remember to check them regularly, and that number would dwindle. The long tail is why RSS is my favorite news tool. When a new US president gets elected or when Apple launches a new hipster toy, I’m sure my Twitter feed will let me know. But when Marco or Thomas or others write yet another great blog post, RSS gives them a platform. 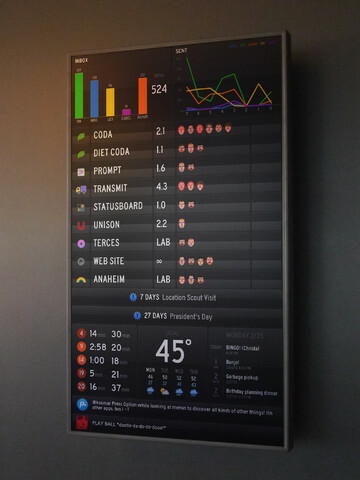 Status Board takes your data and gives it meaning. Use the easy built-in widgets. Or massage your data for our Graph and Table widgets. It’s going to be awesome. Would like to have one of these in our office. Streaming our Harvest and Zendesk stats, keeping everybody sharp and focused. Smart brands favorite and reply to nice things you tweet about them vs. retweeting to followers who are already interested in their product. Do you like people who constantly brag about how they our liked by others? Neither do I.
Minuum does away with the traditional three rows of letters and space bar layout of a standard QWERTY keyboard, replacing that with a single line of letters and predictive typing algorithms that help reclaim a huge percentage of usable screen real estate, while supposedly retaining precision entry capabilities. It’s designed to keep the QWERTY order mostly in place to ease the transition from standard software keyboards, but also includes powerful auto-correction algorithms to make sure you can be pretty sloppy with text entry and still get a usable result. An in depth comparison of the development frameworks behind Apple’s Maps and Google’s finds pros and cons in both, but highlights Apple’s as more mature, less limited and recommended for most third party app developers. AppleInsider has an interesting article on the difference between both map services. Developers seem to prefer Apple’s SDK which does not come to me as a big surprise. Google has some catching up to do here, but decided animated GIF’s of kittens are more important for now.